Google Keep was recently rebranded to Google Keep Notes. I guess it makes it easier for first time users to understand what the app is all about. Notes. Keep Notes is one of the best note-taking apps on the mobile platform. In fact, it is also available on Windows as a Chrome app and integrates with both Chrome and Firefox browsers. Why I love it? Because Keep Notes makes it dead easy and quick to take jot down your thoughts in text, image, and voice format. It integrates with Google Assistant too and there are no notebooks to mess around with. Just create a note, tag it, and forget it. And you can color code it if you are more of a visual being. And its free with no limit on cloud storage, at least for now. While it is all good and dandy, we understand that different people have different needs. If you don’t want to use Google Keep Notes or need a different set of features, we have got you covered. Let’s take a look at some of the best and free Google Keep Notes alternative. Standard Notes is the most barebones approach to note taking that you will come across. There is no need to register or sign in although there is an option to do so. Just launch the app and begin taking notes. You can add tags to help you search for them later. You enter a title and write whatever you want to. There is no way to create notebooks or the ability to add checkboxes. Then why I included it? Because Standard Notes comes with end-to-end encryption. This means your notes are totally safe and no one can read them. Not even the developers. Both encryption and passcode have to be enabled manually and are not enabled by default. Standard Note is free to use and comes with no ads whatsoever. 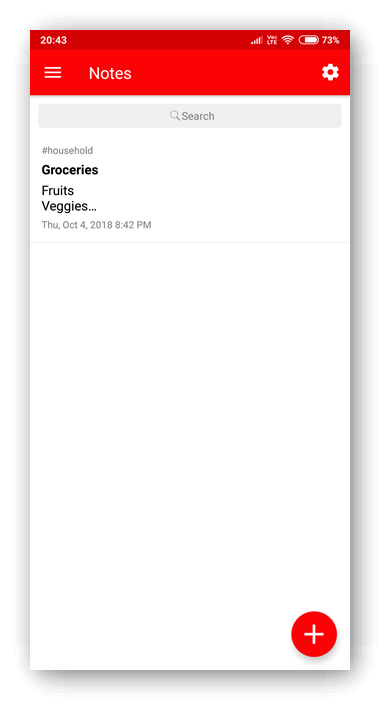 Another note-taking app that is simple to use and sans all the advanced features that make you feel like trapped in a bloated room. Simple Note requires you to sign up. Once you do, you can create notes quickly and easily. 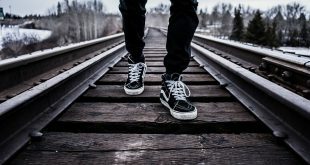 Notes can then be published thanks to its integration with WordPress.com. You can add email IDs in the tags field to invite others to collaborate with you. Just like Google Keep Notes, all your notes are sortable by tags that you can see in the sidebar. There is a dark mode which is all the rage these days. What caught my attention was the history feature where every time you make a change in one of your notes, the old version is saved for reference. You can create a bullet list but there is no way to add checkboxes. Simple Notes is available on all platforms including Mac and Windows and is completely free with no ads whatsoever. The free version of OneNote is just as good and comes with 5 GB of free storage which should be enough for most of you. It is not tied to the Mircosoft 365 suite of apps. With OneNote, you can create notes with text, drawing, images, voice and audio recordings, and links. Furthermore, notes can not only be tagged but also categorized into sections and notebooks. Think of it as a digital notebook. 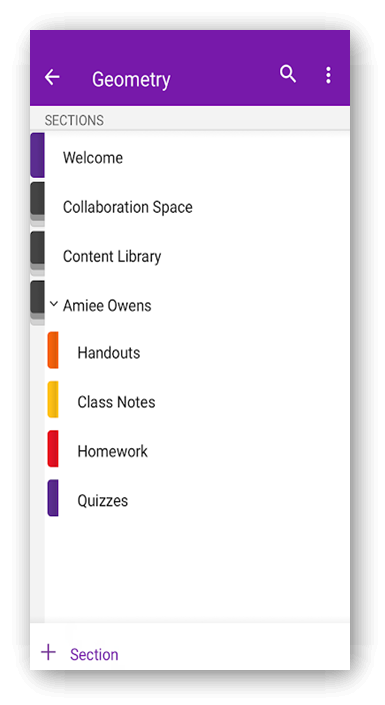 You can share notes/notebooks with others and invite them to collaborate. There is support for rich text and checklists. I like its ability to perform simple math equations right inside the note. OneNote is available for all mobile and PC platforms. ColorNote mimics Google Keep Notes by allowing you to color code your notes. This is a good way to differentiate between projects and types of notes. You can create a text or checklist note but can’t use both in the same note. Again something that I have noticed in Keep Notes. You can sort notes by color too. Finally, you can add reminders and pin it to the top if you think it needs more attention. Where it differs from Keep Notes is the built-in calendar that works well with notes. I wish Keep Notes would integrate with Google Calendar. Comes with widgets for the home screen. ColorNotes is free to use with no ads. There is no cross-platform support. Only works on Android. There is online back and notes are encrypted before they are synced. 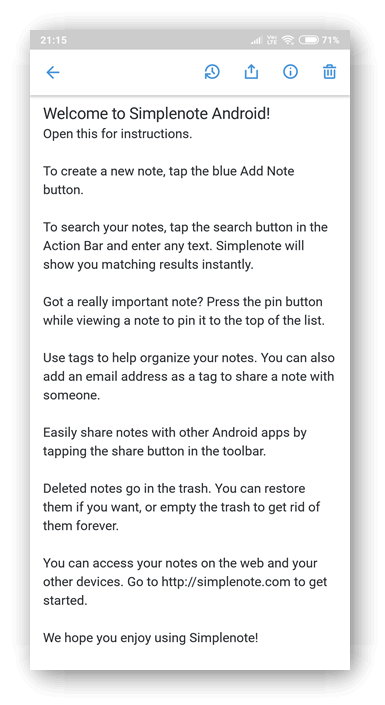 Colored Note is for iOS devices only and offers functionality that is similar to what you would find in Google Keep Notes. You can create a note quickly and color code it. Notes can be text, image (up to 5 per note) or even video links stored on your device. Finally, add a tag and you are done. Added notes can then be sorted by tags or color. You can quickly delete notes by swiping left or share it on Twitter which is cool. There is passcode protection but no encryption like in Standard Notes. Font size and type are easy to change and each note can be assigned an emotion which is a black & white face that can be happy, sad, smiling or shouting. It’s fun, actually. Colored Notes is only available on iOS and is free to use. Paper, by the cloud storage giant Dropbox, is an amazing note-taking platform, and a worthy Google Keep Notes alternative. Paper is probably the most powerful note-taking app on the list. You can collaborate with others and work on a single document using Dropbox’s secure sharing platform. 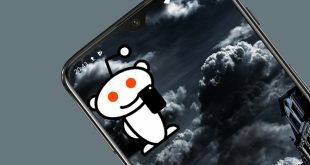 Paper will recognize pretty much any format you add to it like YouTube videos, links, code scripts, SoundCloud audio, and more which you can then interact with right inside Paper. I liked the ability to create to-do lists that could be assigned to individual members of the team. There is a built-in calendar for scheduling work and meetings. Currently, Paper is available on all mobile and desktop platforms and is completely free to use with no limit on cloud storage and sync. Pretty impressive. Boostnote is a note-taking app that was designed by the coders and for the coders. As such, Boostnote supports rich text as well as markdown language which aids in writing codes quickly. Like Google Keep Notes, everything is saved automatically the minute you write it. Because so much can go wrong on so many levels when you are coding, there is a preview option to see what your codes look like in the real world. There is support for more than 100 programming languages including popular ones like HTML, Python, and CSS. Boostnote works on all desktop platforms like Windows, Mac, and Linux. It also works offline and on mobile devices. 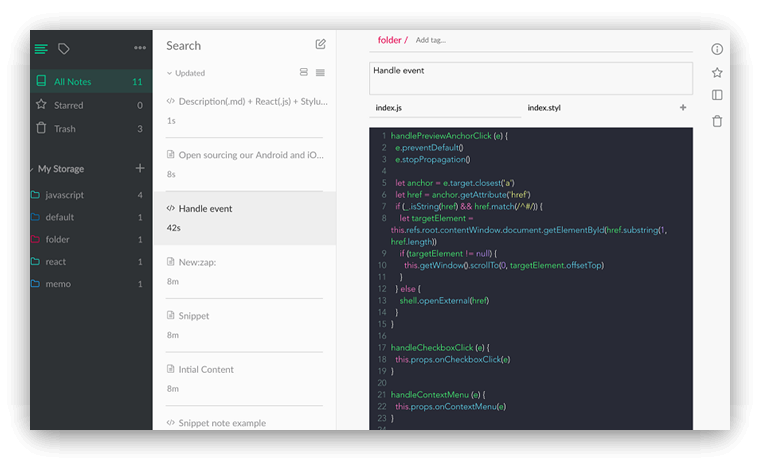 Taking a cue out of Evernote, Boostnote will let you create notebooks to hold your coding notes and use tags for better management and search. Boostnote is both free and ad-free. 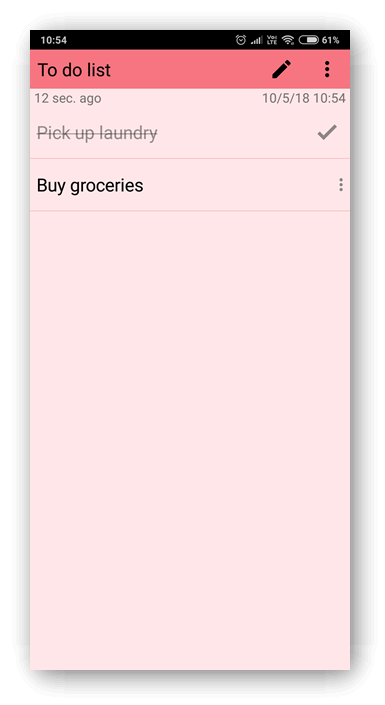 The only problem with Google Keep Notes is that there is no support for Google Calendar which is a shame seeing how useful that could prove to be. I reached out to the team on Twitter and got a reply that was not what I had expected. @googlecalendar It would amazing if @GoogleKeep users were able to attach Keep notes to the calendar directly from the app. One app developer took the matter in his own hands and developed a note-taking app with an inbuilt calendar. 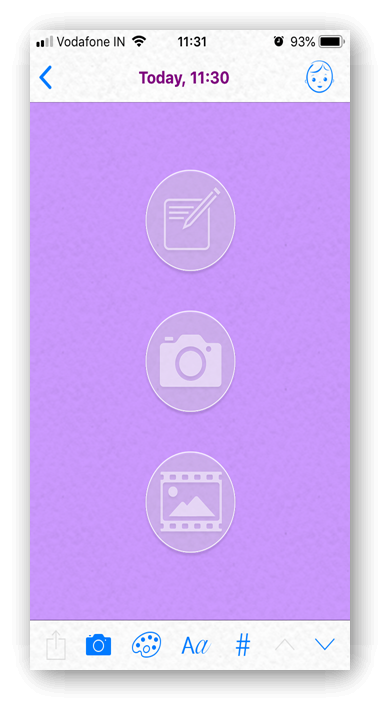 With WeNote, you can create notes, checklists, add tags (labels), and color-code them. Like Keep Notes, checked off items will be moved to the bottom of the note. WeNote is the perfect Google Keep Notes alternative. As mentioned above, you can attach notes to the calendar for better integration between schedule and work and allows users to add reminders. For sync and backup, the developer has added a Google Drive option which is only fitting. Finally, you can passcode protect the notes. You can also attach images. There are quite a few note-taking apps available in the market. Let me help you choose the right one for your professional and personal life. If you are a coder then Boostnote is a solid option for you. If you are a regular guy who is looking for a simple note-taking app, Simple Note and Standard Notes, both will give you what you want. Looking to collaborate with others and working with different file and media types? 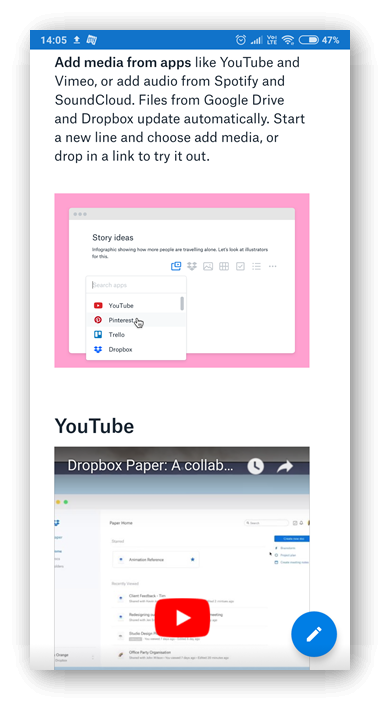 Dropbox Paper will get you going in no time with its secured document sharing and editing options. More suitable for teams. 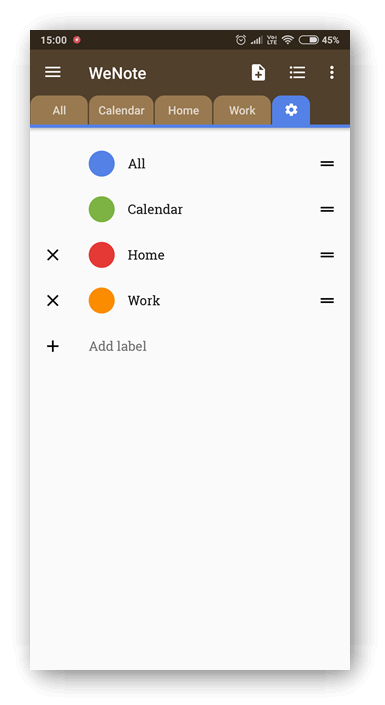 Want a Google Keep Notes alternative with a calendar built-in? WeNote has got you covered but only on Android as of now. OneNote is better if you need more features and options while taking notes like images, audio, and attachments and cross-platform compatibility.